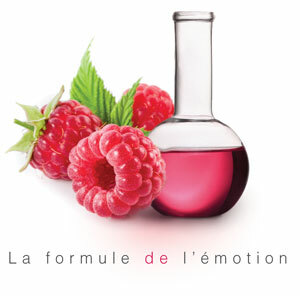 As VP representing the Collège of Enterprises of the PASS Cluster– Perfumes, Aromas, Scents and Savors. The PASS Cluster, the international reference Cluster in natural aromatic extracts and active ingredients characterization, evaluation and processing, focuses on vertical integration, from aromatic plant growth to the production, formulation and incorporation of ingredients in finite products. As COSMED Board member, the “SME association of the cosmetics sector”, and Head of the COSMED CÔTE D’AZUR branch. COSMED and AROMAX were both founded in 2000, born of the determination of the sector’s micro-businesses and SMEs to enhance their visibility and voice with the French and European authorities in charge of the cosmetics profession. Jean-Louis MATOUT, AROMAX Founder-CEO, has been a member of the Société Française des Parfumeurs since the early 1990s. Established in 1942 by a group of perfumers, the Société Française des Parfumeurs is the grouping of all perfume industry players; its initial mandate is to promote and defend the quality and knowhow of French perfumes as well as the Perfume-Designer profession. Member of Osmotheque (from the greek “osmé” = odor and theke = storage), inaugurated in 1990, which is the world’s 1st conservatory of perfume archives, the genuine living collection of antique and contemporary perfumes. The Osmotheque archives over 3 200 perfumes including 400 that have since disappeared. Jean-Louis MATOUT has been administrator and treasurer of the A.R.M.I.P. (Association pour le Rayonnement du Musée international de la Parfumerie - Association for the Outreach of the International Perfume Museum) since its creation in 1990. Founded in 1989, the International Perfume Museum, located in Grasse, cradle of the French deluxe perfume industry, is dedicated to one of the most traditional and prestigious French industries. The Museum takes its visitors on a journey through the history and originality of the industrial professionals and Perfume Majors. A.R.M.I.P. is composed of perfumery professionals, enterprises and individuals who share their expertise, knowhow and connections to enhance the Museum. A.R.M.I.P. is both an active stakeholder and partner of the Museum, organizing collection enrichment, contributions to exhibitions, conferences and competitions, including the Best Scent Awards and cultural outings.